This is a great time of year to see butterflies at Lakeside. 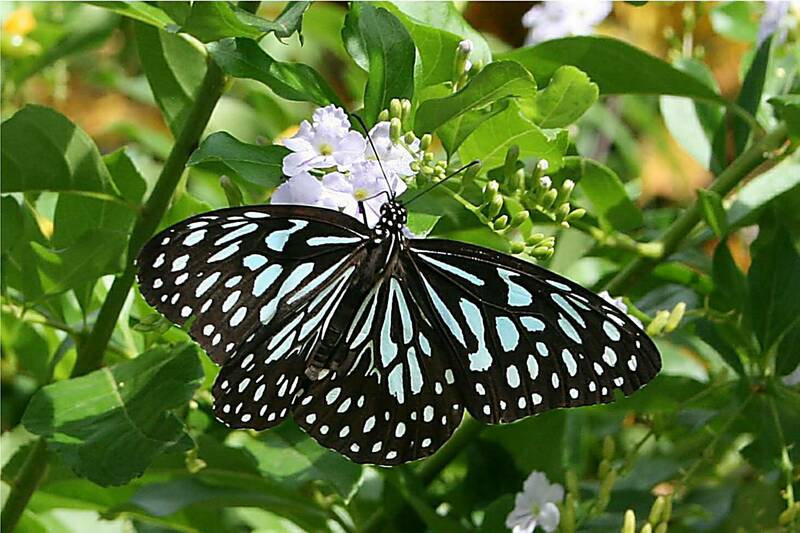 After a short summer shower the butterflies emerge and can be seen in their thousands – clouds of them filling the air. There may be clouds made up of just one species, or a mixture of species. Blue, yellow, red, violet, black, white, orange – the colours are as endless as the butterflies themselves. They range in size from little lime green ones no bigger than the nail on my little finger to huge blue and black ones the size of my hand. It is breath-taking to walk into what appears to be a field of tiny violet flowers which suddenly take to wing all around you. Nothing says ‘summer at Lakeside’ to me more clearly than the butterflies.